All designs, schematics, specifications, layouts, plans, descriptions, products, and other documents, materials, and information provided by Company and communications from Company in connection with this program (“Company Submissions”) are nonconfidential and Microchip is under no obligation to hold Company Submissions in confidence, to refrain from disclosing Company Submissions to others, or to return Company Submissions; and Microchip is free to use, copy, and reproduce Company Submissions without restriction. Microchip, however, will keep the fact that a Company Submission occurred (but not the Company Submission itself) confidential for a period of one year after submission. Microchip is not obligated to accept any Company Submissions for this program or to provide any Feedback (as defined below) with respect to any Company Submissions. 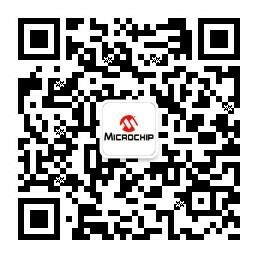 Any assistance, services, comments, information, or suggestions provided by Microchip (including without limitation any comments to the effect that Company’s product designs do not require any changes) (collectively, “Microchip Feedback”) are provided solely for the purpose of assisting Company in Company’s attempt to optimize compatibility of Company’s product designs with certain of Microchip’s products. Microchip does not promise that such compatibility optimization will actually be achieved. Even proper use or implementation by Company of any Microchip Feedback may adversely affect other aspects of Company’s product designs or performance, even if they successfully achieve the effect of optimizing compatibility of Company’s product designs with Microchip products, and Company is not relying on Microchip’s skill or judgment in determining whether or not to make any changes to Company’s product designs. Use or implementation by Company of any Microchip Feedback may require licenses under patents or other intellectual property rights of Microchip or third parties, and Microchip does not promise or represent that any such patents or other intellectual property rights will be identified by Microchip to Company or that any licenses will be made available to Company by Microchip or any such third parties. ANY Microchip FEEDBACK IS PROVIDED AS IS, WITH ALL FAULTS. COMPANY ASSUMES ALL RISKS OF ANY RELIANCE BY COMPANY ON, OR USE OR IMPLEMENTATION BY COMPANY OF, ANY Microchip FEEDBACK. THERE ARE NO WARRANTIES, EITHER EXPRESS OR IMPLIED. Microchip AND ITS SUBSIDIARIES DISCLAIM AND EXCLUDE ANY AND ALL WARRANTIES, INCLUDING WITHOUT LIMITATION ANY AND ALL IMPLIED WARRANTIES OF MERCHANTABILITY, FITNESS FOR A PARTICULAR PURPOSE, TITLE, AND AGAINST INFRINGEMENT, AND ANY AND ALL WARRANTIES ARISING FROM ANY COURSE OF DEALING OR USAGE OF TRADE. No license is granted by Microchip expressly, by implication, by estoppel or otherwise, under any patent, trademark, copyright, mask work right, trade secret, or other intellectual property right. No partnership, joint venture, or agency relationship is created hereby. IN NO EVENT SHALL Microchip OR ANY OF ITS SUBSIDIARIES BE LIABLE FOR ANY DIRECT, INCIDENTAL, INDIRECT, SPECIAL, PUNITIVE, OR CONSEQUENTIAL DAMAGES; OR FOR LOST DATA, PROFITS, SAVINGS OR REVENUES OF ANY KIND; REGARDLESS OF THE FORM OF ACTION, WHETHER BASED ON CONTRACT; TORT; NEGLIGENCE OF Microchip, ANY OF Microchip'S SUBSIDIARIES, OR OTHERS; STRICT LIABILITY; BREACH OF WARRANTY; OR OTHERWISE; WHETHER OR NOT ANY REMEDY IS HELD TO HAVE FAILED OF ITS ESSENTIAL PURPOSE, AND WHETHER OR NOT Microchip OR ANY OF ITS SUBSIDIARIES HAS BEEN ADVISED OF THE POSSIBILITY OF SUCH DAMAGES.